NORTH BAY, Ont. — Luke Boka’s goal at 4:14 of the second period proved to be the winner as the Windsor Spitfires snapped a five-game Ontario Hockey League losing streak with a 4-2 victory Thursday night over the North Bay Battalion. 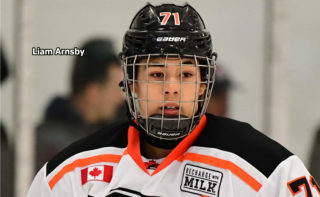 Luke Burghardt scored both goals and Justin Brazeau provided two assists for North Bay, 23-23-3 for 49 points, fourth in the Central Division. 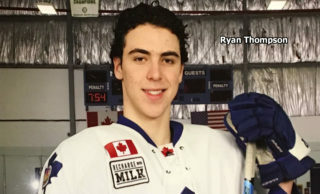 Goaltender Christian Purboo faced 37 shots before a Memorial Gardens crowd of 2,181 as the Troops completed a run of five home dates in which they went 2-3-0. 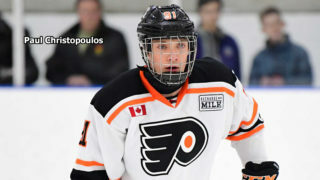 Douglas opened the scoring at 12:03 of the first frame, ripping a Jean-Luc Foudy pass behind a screened Purboo on entering the zone, and Garagan connected at 15:41, chopping the rebound of a Kyle McDonald shot past the goaltender’s blocker from the goalmouth. 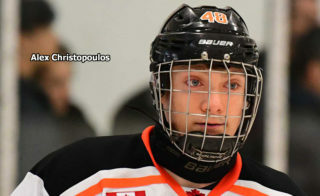 Boka banged home the rebound of a Chris Playfair drive before D’Amico was credited with a power-play goal at 9:00 of the second period when Purboo stopped a shot off the right wing and King knocked the puck out of the air into the net. BATTALION BULLETS: On Bruce Power Night, in partnership with the Brain Tumour Foundation of Canada, one fan won an autographed Toronto Maple Leafs stick, while another won an iPad … It was the first meeting between the Battalion and Spitfires, who complete their season series Feb. 23 at Windsor … Braden Henderson played his 100th OHL game, his 75th with the Battalion since a Jan. 6, 2018, trade with the Sarnia Sting. 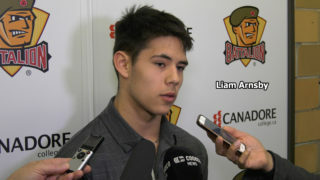 The defenceman has one goal and five assists for six points in 48 games this season … Burghardt has four goals and one assist for five points in the last two games … The Battalion went 0-for-2 on the power play. Windsor was 1-for-5 … North Bay went 6-5-1 in January … With rearguard Payton Vescio having played Wednesday night in the Hamilton Bulldogs’ 6-3 road loss to the Peterborough Petes, the conditional 15th-round OHL Priority Selection pick acquired by the Battalion in a Jan. 10 trade becomes a fourth-rounder in 2022 … Opening lines included Struthers centring left winger Burghardt and right winger Brazeau, Primeau centring left winger Caines and right winger Coe and Moncada pivoting left winger Walker and Russell on right wing. 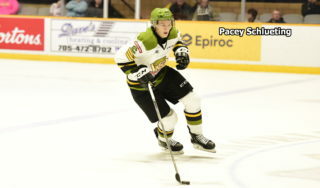 Peters centred Schlueting, usually a defenceman, on left wing and Patrick Brown on right wing … The Battalion was without Travis Mailhot, Kurtis Evans and Brad Chenier … The referees were Mike Marley and Aaron Neely.